The root עבד is often used as a verb in context of doing work, of service (doing work for someone), worship (doing work for a god). The noun (avodah) is used likewise. The related word עבד (eved) is often translated as slave and sometimes as (bond)servant. I always thought the connection and similarity between al the contexts and translation of this root had to do with work (with fysical or outwards deeds) - regards the circumstances under which these were done. But then I looked at Bereshit 2:5 which talks about the fact that there was no adam 'to avod' the earth. And tought maybe it could be about a principle in which man had to serve the earth, like all work serves something or someone, and a slave and servant serve another human - regards the reason why they serve. That made me wonder again about the root עבד and it's essence: Could this be described into one word or a definition; which shows the similarity and connection between all different meanings (serve, worship, work etc...) without changing the different meanings on there own. I believe you are correct. 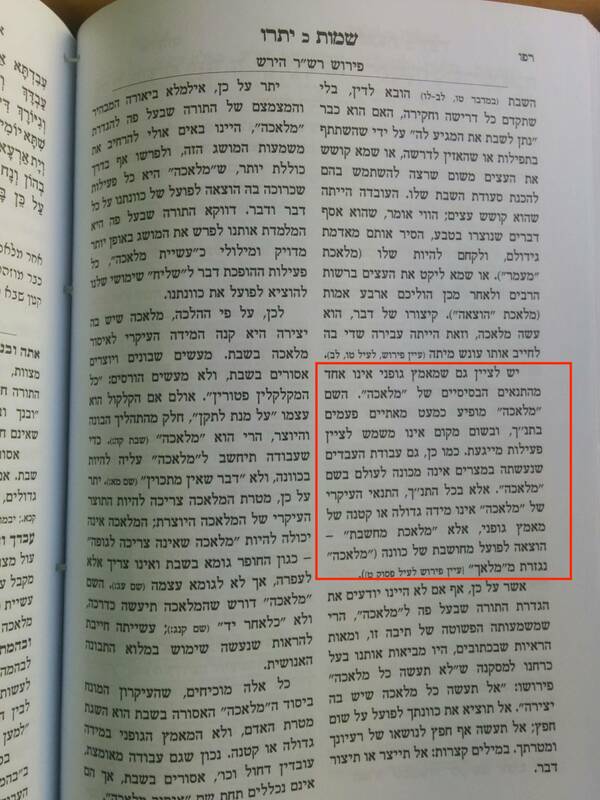 R' SS Hirsh explain (Parshas Yisro) that the difference between "Melocha" and "Avoda" is that Melocha means intentional, purposeful, creative work and not physical toil. Seemingly when submissive, subservient toil is the primary objective, we call that "Avoda". Not the answer you're looking for? Browse other questions tagged words parashat-bereishit commentaries slave-serve-eved-avadim . Where does the word תורתי and different aplliable roots learn us? The definition of ריב and its applications? Any connection between Isaiah 40:3 and the story of Ya'akov's name changed to Yisrael?